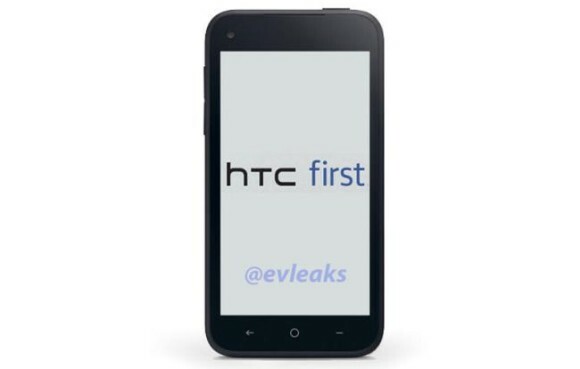 Two days before its likely announcement, an alleged photo of the Facebook-centric HTC First leaked out. The smartphone will all but certainly make an appearance this coming Thursday, on April 4 during a press event hosted by the social networking giant. The leaked press photo reveals the front of the upcoming device and a three-button configuration below its display. Curiously, there are no logos whatsoever present on the device's front. The rumored specs of the HTC First include a dual-core Qualcomm Snapdragon S4 Plus CPU, a gig of RAM, 4.3" 720p display, and a 5MP camera. The OS is expected to be Android 4.1.2 with HTC Sense 4.5 and, of course, deep Facebook integration. It is not aiming to be a flagship device,these specs are actually quiet good for a non flagship device(even iPhone 5 doesn't has 720p display).I'm just curious what makes it different than other phone in the market with an installed facebook app. it IS almost as powerful as bbm... i use it more than whatsapp or almost txt msgs.